Before you get started, please be sure to always check out this documentation. We outline all kinds of good information, and provide you with all the details you need know to use this theme. 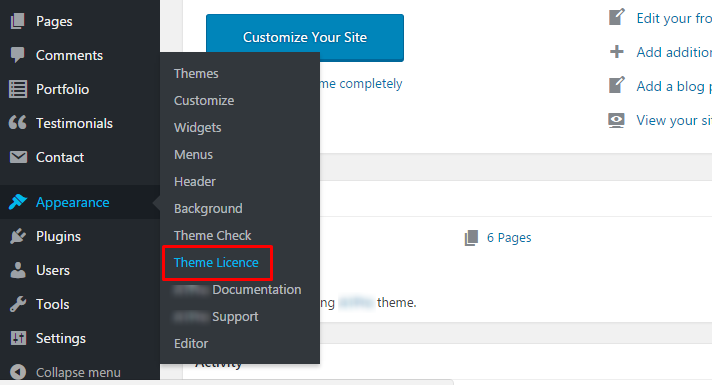 If you have already purchased the theme make sure you active the theme license first. Follow below steps to activate theme license. After installing the theme the first step to take will be activating the theme license. Enter the license key and you’ll get access to theme support. Follow the below instruction to activate the theme license. Step 1 – Go to your WordPress Dashboard > Appearance > Theme License. Step 3 – The final step is to click on Save Changes. Once you have Activated your theme license, to import dummy data as per the seen demo. Please follow below steps. Note: You’ll only see this option, once the theme is activated. Step 1 – Go to your WordPress Dashboard > Appearance > (theme name)Demo Setup. 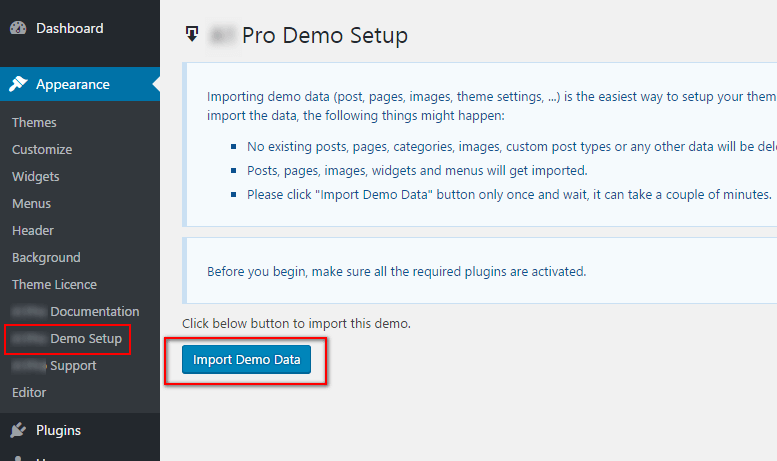 Step 2 – Click on Import Demo Data and it’ll be imported after few minutes. From here you can make basic changes to your website like selecting theme color, uploading a logo, favicon and copyright text. You can also set layout of blog. Please follow the steps from 1 to 3 to reach to Basic settings tab. 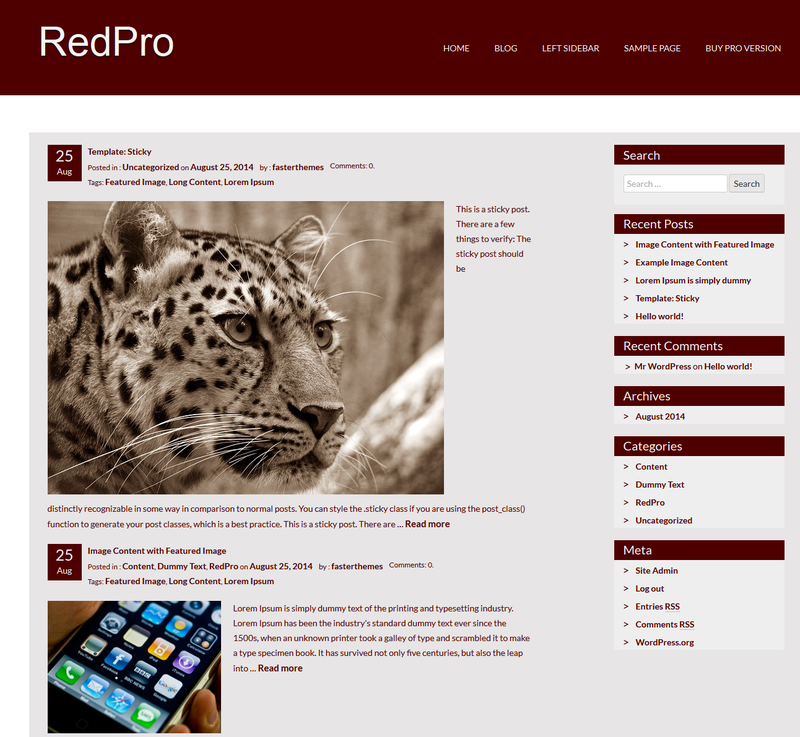 Once you set theme color from back end you can see theme in that particular color in front end of website. Below you can see theme in red color which we have set in back end. Same, once you set logo from back end you can see that appearing in top left of website. You can also set layout of your blog. You can set it in full width, left side bar and right side bar. In this part you can add links of your social media profiles like Facebook and Twitter. Users can check your social media profiles by clicking on these icons. Once you enter your social media links in backend you can look at it in front end. 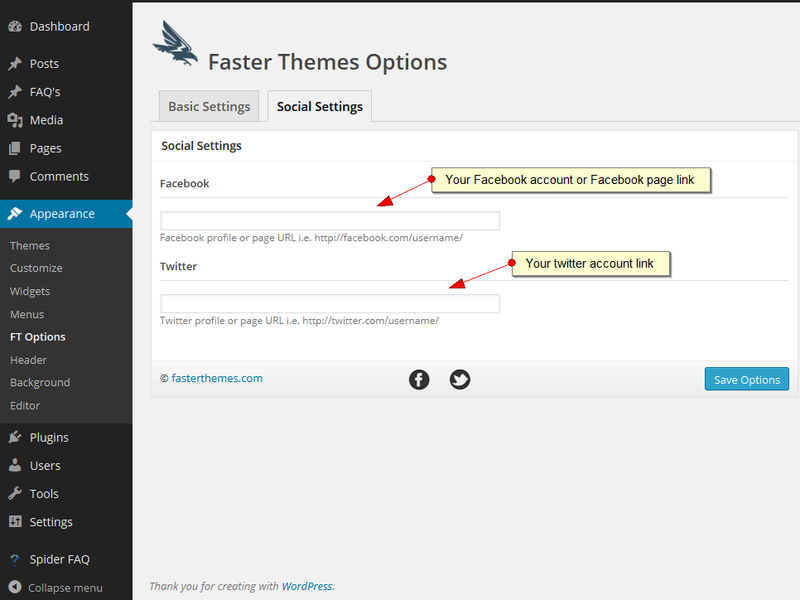 FasterThemes brings you some of the finest and fastest WordPress themes the Internet has to offer. From personal blogs to professional business themes, we’re here to help you create the perfect website and keep up with the speed of cyberspace. Enter your email to join our mailing list and we’ll keep you updated on new themes as they’re released and our exclusive special offers. 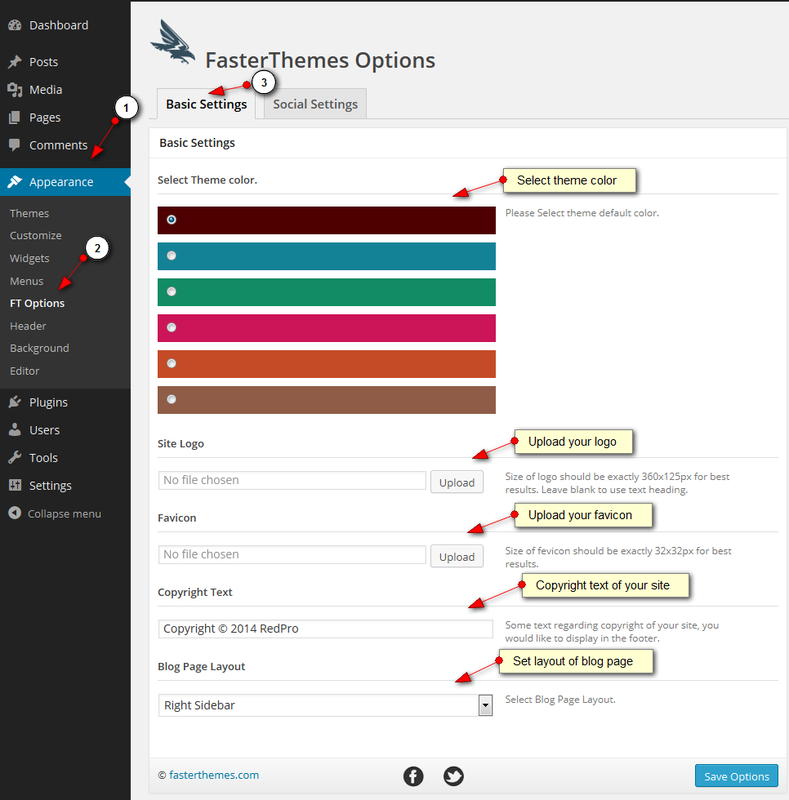 FasterThemes offers GPL Licensed themes to compliment your WordPress website. © FasterThemes, All Rights Reserved 2014.